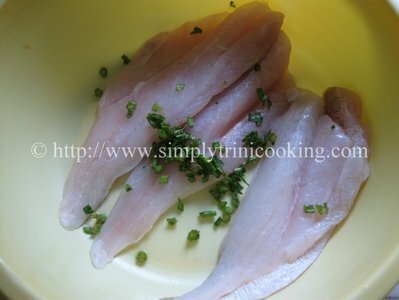 After doing the first stew fish recipe, one person reminded of the second method of stewing fish here in Trinidad and Tobago. 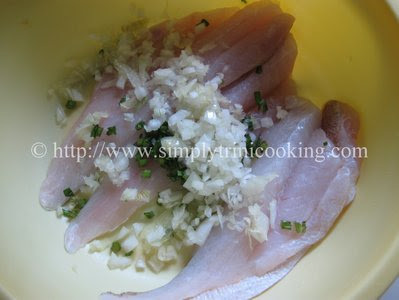 This stew fish recipe requires you to fry the fish first before immersing it in the sauce: a method I know most Trinis are accustomed to. Which Stew Fish Do You Prefer? In fact this is the stew fish recipe I think, may be the more common one on the island, since some people may not have wanted their fish “wet” with the sauce while the stew fish was being made. Well, at least that’s how it was at home for us!… I remember when my mother made this, one of my sisters never liked her fish “wet” but preferred the fish fried and the sauce drizzled over the rice separately. 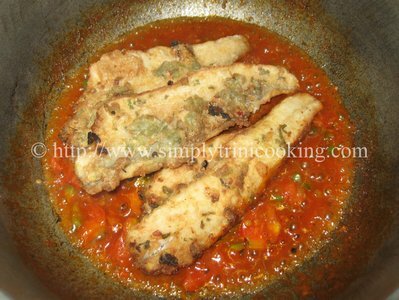 I believe this method of stewing fish may have come out of necessity based on preferences and trying to satisfy individual tastes in the home. So how do you like your stew fish? For me it is based on my mood and probably the type of fish I’m stewing. 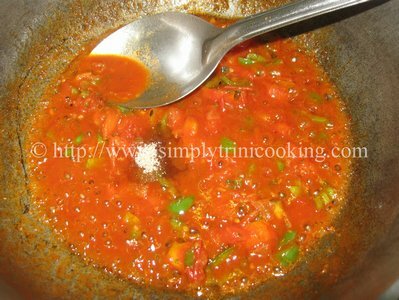 For meatier fish like carite and king fish I would certainly have it immersed in the sauce after frying. 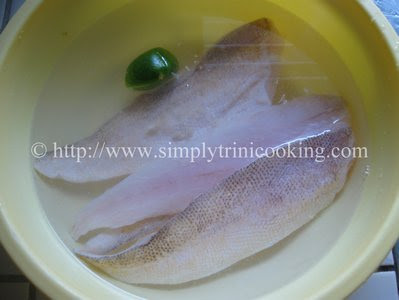 Anyway, I hope you enjoy this second method of stewing fish trinistyle. 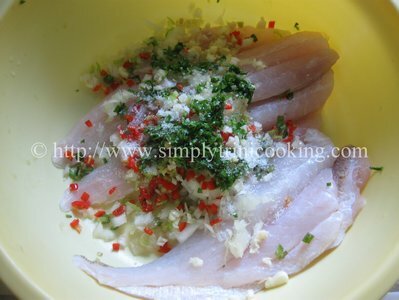 And of course if you don’t like your fish “wet” you could always make the sauce separately. 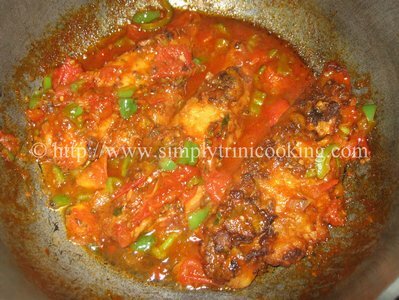 Here’s Stew fish trini style. Enjoy! 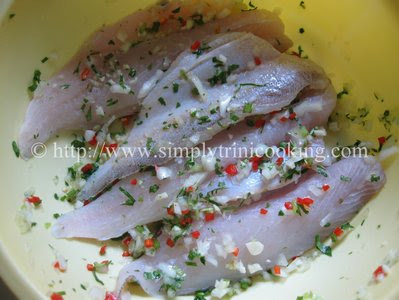 Wash the fillets in water with the juice of the lime added. Season with celery, onion, pimento peppers, chadon beni, garlic and salt. 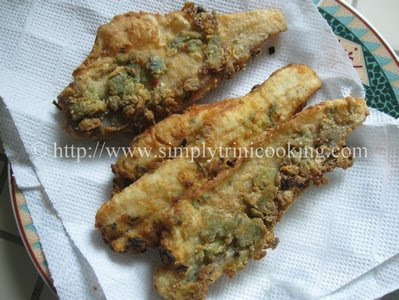 Fry until golden brown and drain on paper towels. 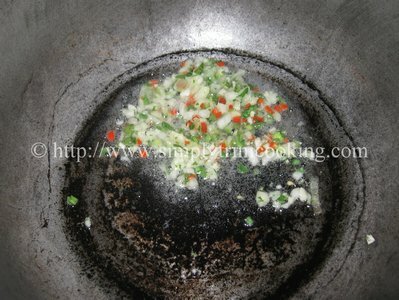 Saute the seasoning that was set aside together with the ginger for one minute. 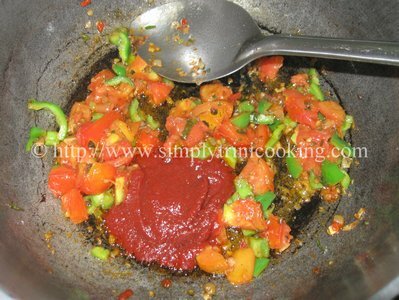 Add the tomatoes and sweet pepper and saute for 1 minute. Add tomato paste, sugar and 1 cup of water. 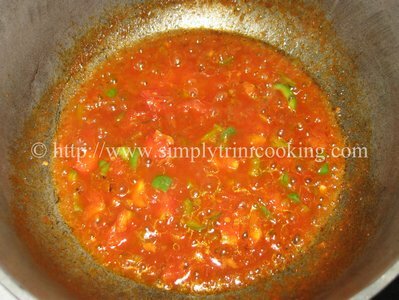 Add the fried fish and let simmer for 1 minute. Note: Try not to break up the fish while simmering. Well I hope that wasn’t too mouthwatering for you 🙂 See you soon with another trini recipe. 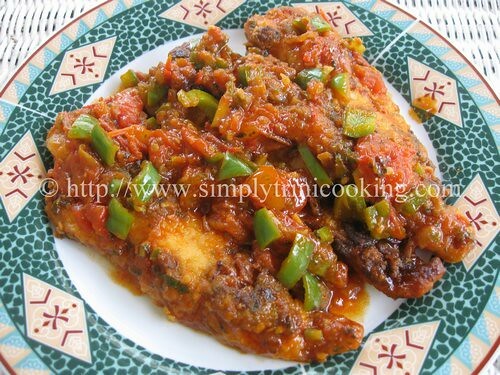 Don’t forget to leave your comments about this stew fish recipe. Hi sorry to hear that. Frying fish can sometimes be a little tricky, however remember these pointers before you start frying fish the next time. You should make sure the fish is not too wet. 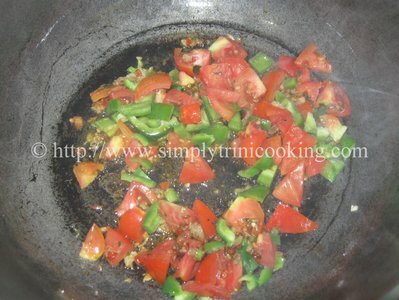 That is why I prefer dry seasoning and a little of green seasoning. Also, make sure the fish is well breaded. This holds the fish well. If you let it stand a little on a sprinkle of flour it sets in and the flour would least likely fall off while it is frying. 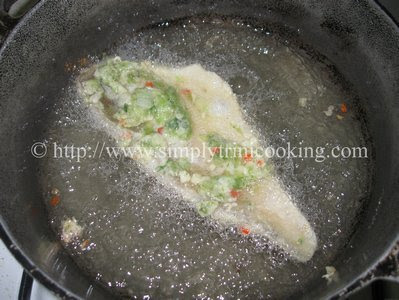 Next, make sure the oil is hot enough before you fry the fish. 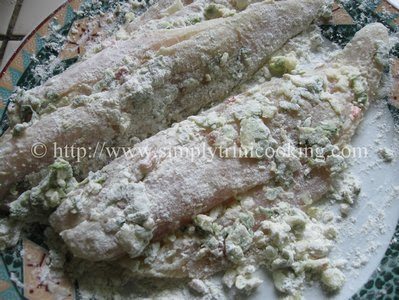 Let the fish fry well on one side before you flip it over to fry on the other side. You should now have perfect fry fish. I tried this recipe and it was perfect!! Just made these and they were perfect!! They are officially added to my christmas lunch menu!